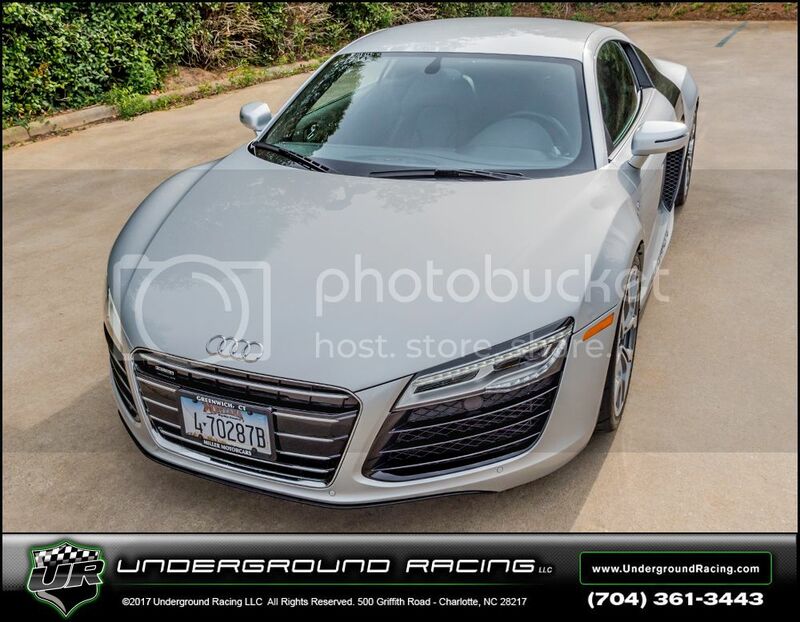 Thank you Joel for choosing Underground Racing to Twin Turbo your 2014 Audi R8. 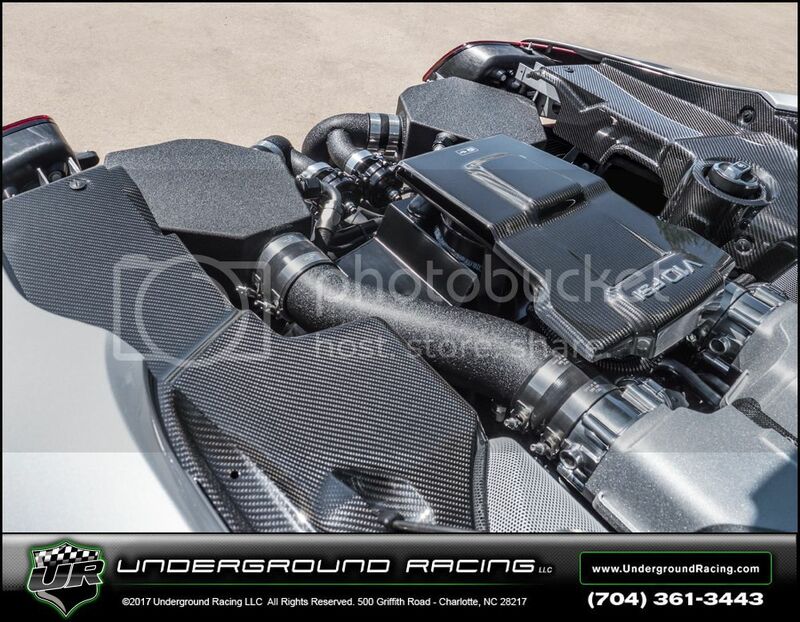 Joel chose our Stage 1 system that makes 800 whp using pump gas. 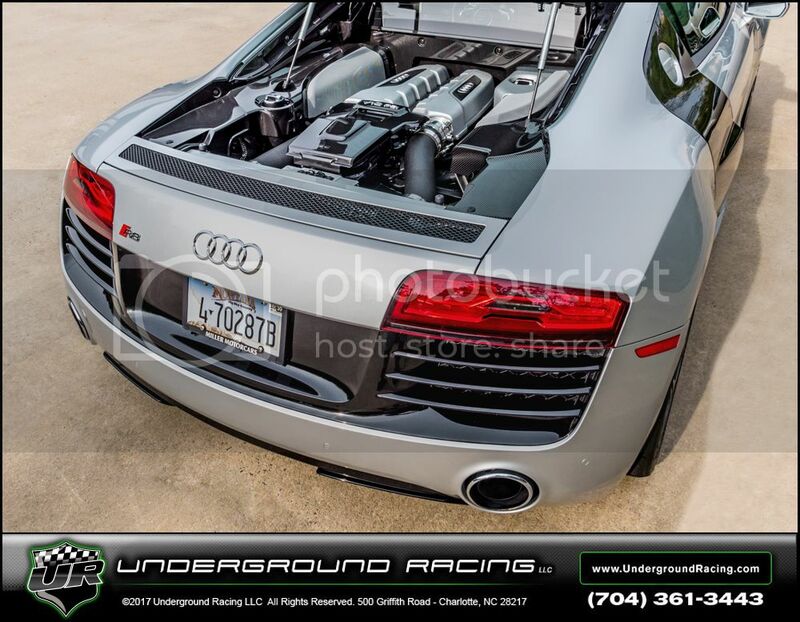 This TT Audi R8 has the new MoTeC M1 ECU, custom wiring harness and boost by gear setup from John Reed Racing. If anyone is interested in a system similar to this for your Audi R8 or Lamborghini, please don't hesitate to call or email anytime. Wow that's impressive. 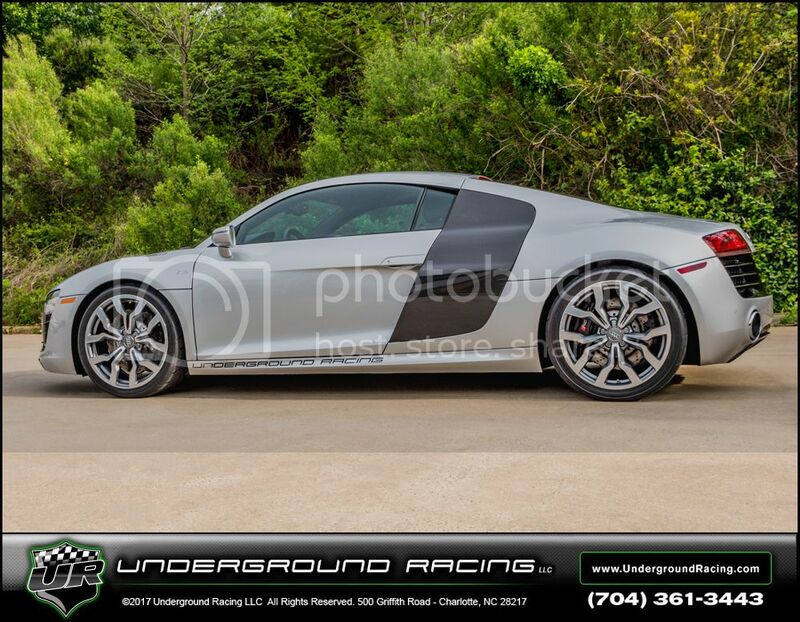 I am starting to look at the R8. Would such a setup pass CA smog rules or are we stuck with unmodified R8? The builds we have sent over there have passed.